Let’s be honest, the last thing most flight instructors want to do is “sell” … but they play a critical role in generating new customers for your flight school. Unfortunately, most schools don’t give flight instructors the training, tools, or motivation to excel in this “sales” role. If your flight school is getting lots of new people in the door with your website, open houses, or discovery flights, but you’re having a hard time signing up new customers, it might be time to look at the sales side of the equation. Your prospects have spent some time researching your school online and setting up a discovery flight with your admin staff. They are at a stage in the buyer journey where they're close to making their final decision, but they want to get a first-hand look at the process. Your flight instructors end up shouldering most of the sales role due to their position in the buyer's journey, as they field questions about pricing, training, and additional pre-sales questions. You can help your instructional staff sign up new customers by setting clear sales expectations, developing sales tools, providing sales focused training, and creating a positive motivation to meet your business goals. The first part of creating successful salespeople out of your flight instructors is to clearly state what you expect them to do to help sign up new customers and that you consider selling part of their job. Next, you need to define what you consider a “sale” and establish goals for your staff. Do you want instructors to push for a signed formal training contract, a course kit purchase, or scheduling additional lessons? When you set sales expectations clearly, you let the flight instructors see the end goal instead of making assumptions about the sales process. Everyone involved will be on the same page and you won't lose sales because flight instructors aren't sure what to emphasize. Your flight instructors need tools to support their conversation with prospects after the discovery flight finishes. Consider a tablet loaded with frequently asked questions, videos detailing the training process, and other useful content. Your flight instructor's sales training should focus on overcoming potential objections the customer may have, such as concerns about pricing or scheduling issues. The process to take a customer from the post-flight discussion to the closed-sale should be as smooth and seamless as possible. Make it easy for the flight instructor to capture any information needed to schedule the customers for training or set them up with a course kit. Your flight instructors focus on teaching, but they also play an essential part in the sales role. Integrate sales tools and training throughout the on-boarding process and create a culture of collaborative sales throughout the school. Clearly, a new instructor needs learn your discovery flight and new customer sign up process as well as any tools you’ve built to support a sale. They also need at least an introduction to formal sales methods and strategy. If you’re not an expert at sales, get some outside help. This might take the form of an online sales training course or ebook. Over time, you’ll end up with flight instructors who really get the sales process. Invest in additional sales training opportunities for these instructors, such as continued education courses or sales workshops. 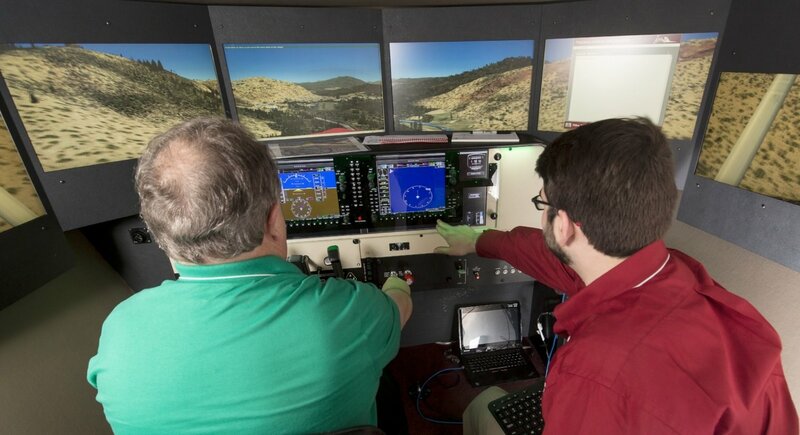 Once your top performers receive additional training, set them up with the rest of your flight instructors so they can convey these techniques with a flight school twist. This will help you create a cooperative sales environment with your flight instructors instead of a competitive one. Flight instructors are also more likely to want to sell if you add a personal incentive into the process. Sales skills are typically outside the flight instructor's expertise, so it's something your instructors have to actively work on. If you expect them to take on this responsibility without an associated incentive, you can end up with instructor retention problems. Instead, tie rewards to closing new customers. These rewards can take several forms, such as financial bonuses, a commission percentage, or additional vacation time. Spell out the reward structure so flight instructors understand exactly what they're getting in return for their efforts. By taking a proactive approach to sales your flight instructors will become far more successful at signing up new customers and they’ll learn skills that will help them in any future roles.